Printing & Print Design Services for Fresno, California: Business Cards, Brochures, Post Cards and Envelopes for the Fresno, CA area, including Clovis, Madera, Sanger, Fowler and Selma, California. A small list of our products are listed below. Do you need full color postcards, flyers or brochures to market your business? 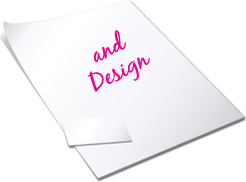 Maybe you would like to give your business a more professional look with custom designed business cards, letterhead, envelopes and folders? Need full color posters, banners and display signs for trade shows? Whether you are a small home based business or a large corporation located near or in Fresno, California, we provide you with the printing materials to fit your advertising and office needs! If you would like to see and feel the quality of our printing, click here to request a sample packet and we will mail one out to you.